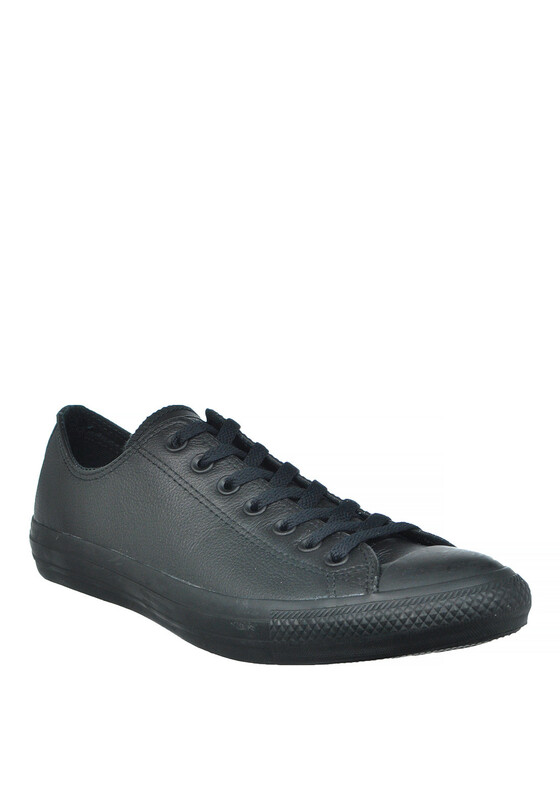 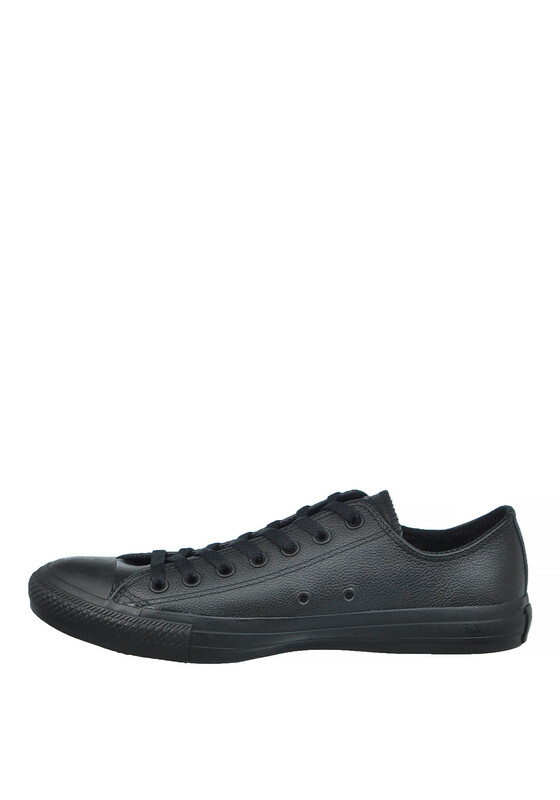 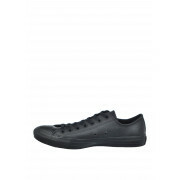 Step out in style in these low ankle trainers from Converse All Star in black. 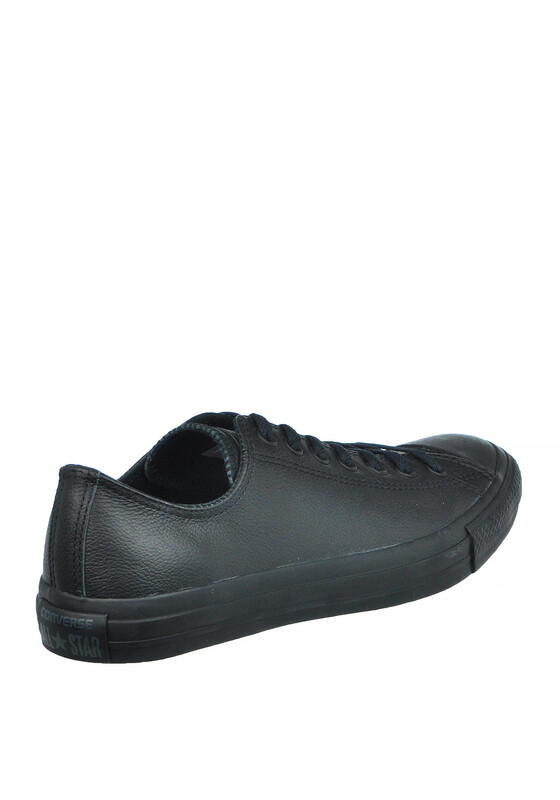 Featuring a leather upper with black eyelets on the laces front and sides to allow your foot to breathe and a black rubber sole and toe. 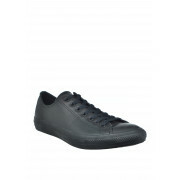 Finished with a Converse woven tag on the tongue, this stylish pair will look amazing with jeans or tracksuit bottoms.